CyanogenMod Team has recently released the second stable version of the M snapshot series for Sprint Samsung Galaxy Nexus. CyanogenMod 10.1 M2 for Sprint Samsung Galaxy Nexus is based on Android 4.2.2 Jelly Bean. For the installation we will use cm-10.1-20130304-EXPERIMENTAL-toroplus-M2.zip which is a zip file and CWM Recovery. Installation Requirements: In order to proceed further with the installation of CyanogenMod 10.1 M2 on your Sprint Samsung Galaxy Nexus, you will need CWM Recovery and root, a Nandroid backup, USB drivers for Sprint Samsung Galaxy Nexus installed on your computer. Important!! Installing CyanogenMod 10.1 M2 on Sprint Samsung Galaxy Nexus means you are installing a Custom ROM on your device. 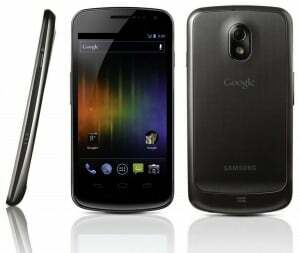 Here is a list with the risks involving the installation of custom ROMs on your Sprint Samsung Galaxy Nexus. For the installation of CyanogenMod 10.1 M2 on your Sprint Samsung Galaxy Nexus, we will use a zip file (cm-10.1-20130304-EXPERIMENTAL-toroplus-M2.zip) that can be flashed with CWM Recovery. It is recommended that you perform a full wipe before the installation. If anything goes wrong after installing CyanogenMod 10.1 M2, you can return to your previous ROM using the Nandroid you made. Connect Sprint Samsung Galaxy Nexus to the computer and move cm-10.1-20130304-EXPERIMENTAL-toroplus-M2.zip and Google Apps on the Sd card (don’t extract). Select Install zip from sd card and choose cm-10.1-20130304-EXPERIMENTAL-toroplus-M2.zip from the sd card, then press Install. Wait for the installation on your Sprint Samsung Galaxy Nexus to finish and then repeat the process for Google Apps. You should now have CyanogenMod 10.1 M2 installed on your Sprint Samsung Galaxy Nexus and ready to use. Use the Nandroid backup to return to your previous ROM in case there is something wrong.